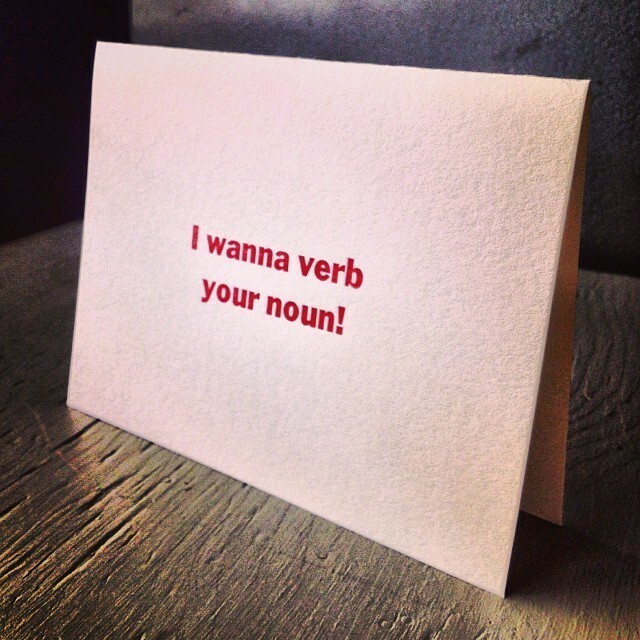 I wanna verb your noun! Hey, get your mind out of the gutter. I wanna kiss your cheek! Reprinting this old favorite at the request of a friend. I'll soon be pressing this same innocent (naughty?) sentiment in another typeface. Perhaps even a few new colors! Blank on the inside. 24pt Franklin Gothic, on Crane's Lettra Flourescent White (110lb).